The American Recorder Society has established a fund for the professional development of recorder players who meet the criteria below, up to $600 per recipient. 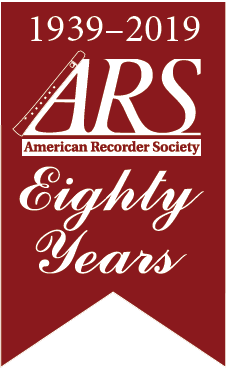 Any recorder professional may apply for an ARS Professional Development Grant. Congratulations to our 2019 recipient, Adela Gardavska! One use of the fund, in partnership with the Oregon Coast Recorder Society, is to provide support for a four to six-week recorder residency at the Sitka Center for Art and Ecology in Otis, Oregon. The Sitka Recorder Residency Award is applied for directly through the Sitka Center. Once approved for the Sitka Residency, which supplies lodging only, recorder professionals may apply for the ARS Professional Development Grant for up to $600 to supplement daily living expenses during the Sitka residency. Read a report from a recent Sitka Recorder Resident, Saskia Coolen, here. Other professional grant applications, not related to the Sitka Residency, will also be considered by the ARS. Your application will be reviewed by the ARS Scholarship and Grants Committee, which will make a recommendation to the ARS Board. Preference will be given to first-time applicants. One proposal per calendar year will be awarded. You must be a current member of the ARS (membership dues may be submitted with grant application). Your financial request cannot exceed $600. Apply by September 15 of the year preceding your proposed residency or project. 1. A current resume with references. 2. A completed application form (see link below). 3. A narrative (not to exceed three pages) containing your project proposal description; financial reasons for your application; its benefits to the recorder community; the geographic area in which it will take place; your biography (limited to 250 words). 5. Supporting materials/examples of your work relevant to your application, e.g., articles or other publications, CD, video, or tapes of performances, etc.